Any company that distributes products uses raw materials, or purchases materials for production need a reliable inventory to account every single component that has been spent for. Medical facilities are not exempted from this. That is why even laboratories and other testing facilities now use an Inventory Software for monitoring. Inventories usually have a registry for all incoming and outgoing stocks. This is why most pharmaceuticals and supplies department of hospitals actually have programs such as these. It helps moderate any withdrawal of stocks and also tracks every drug, equipment, or supply taken out of the storage. There are downloadable programs online that you can check out. Medical inventory is not quite different from a regular inventory. It almost has the same features, only that the contents in the inventory are actually supplies ready to be disbursed to patients. 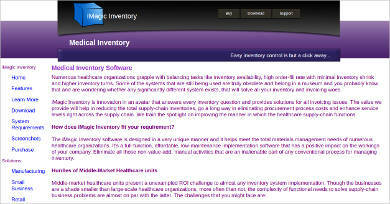 With that said, here are the major features of a medical inventory software. Organized List of Supplies Per Category – Since there are different kinds of medicines in one generic brand, it is important that the supplies are arranged accordingly. In some software, you can categorize the products so it would be easier to access when encoding or checking. Real-Time Tracking of Stocks – Medicine is highly valuable that is why it should always be accounted for. You need a software that offers real-time tracking so as to avoid multiple releases of the same product. It keeps your inventory updated as well. 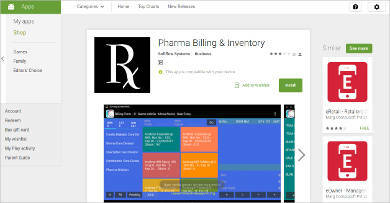 Details of Buyers and Payment Method – You can also add frequent buyers and their prescription to your system. This way, you won’t need to always check for a written prescription when they stop by. Also, you can use the data to trace if you are giving the right meds or not. Another type of medical inventory is Medical Imaging Software that stores digital imaging tests results. 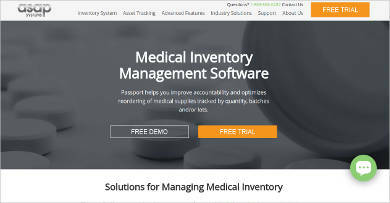 Who Uses Medical Inventory Software? 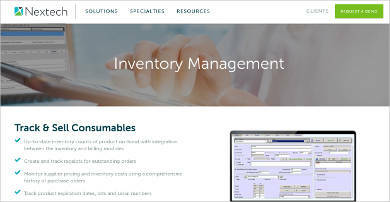 Pharmacies are not the only ones who use inventory programs. Other branches of the medical field also need it to keep their internal process flowing smoothly. Below are some examples of who uses these types of programs. Hospitals – Every needle, every tube, and every bandage should be accounted for in a hospital. This is to make sure that the staff in the facility are not making a mistake when taking care of a patient. Also, these materials are paid for by the customer. Therefore, it was once a part of the hospital owner’s investment. Missing and unaccounted supplies are a loss on the hospital’s part. Laboratories – Similarly, laboratories also use an inventory system for their reagents, syringes, and vials. This is because the number of supplies used would equal to the number of clients of the laboratory. Also, they use the inventory system to monitor expiry dates of the medicines. 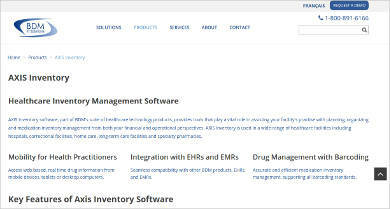 Clinics – Unlike those two, clinics usually use inventory software to monitor the equipment available inside the clinic. Since there is not much to account for, the usual content of the database is the patient details and their prognoses. 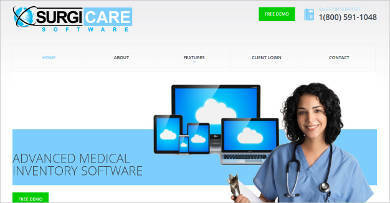 They also have a special Medical Transcription Software.